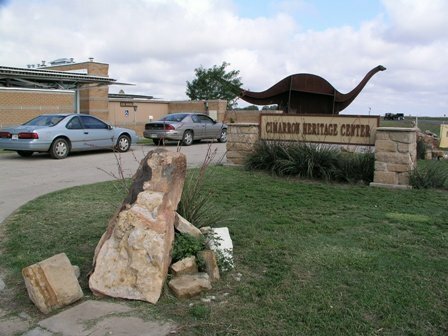 Cimmy the Dinosaur sits outside the Cimarron Heritage Center Museum in Boise City. 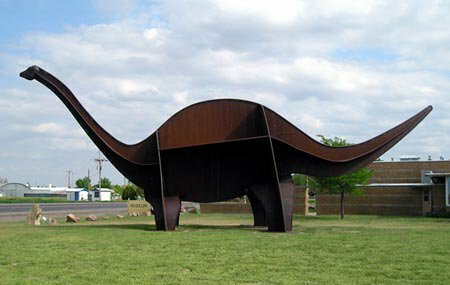 This metal Apatosaurus, which measures 65 feet long, 35 feet high and weighs thousands of pounds, greets visitors to the museum. Stop to see Cimmy on your way through Boise City for a great photo-op. 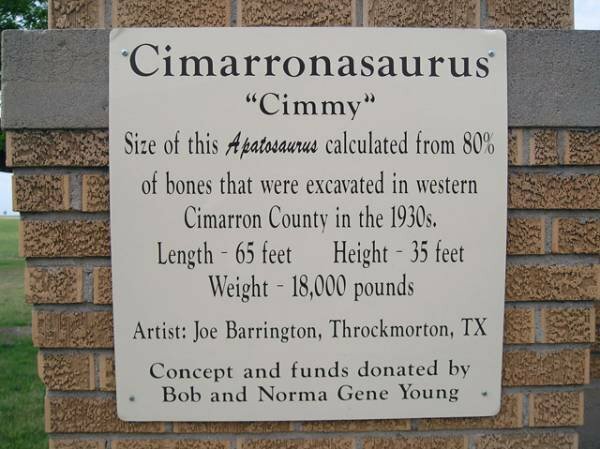 Cimmy the Dinosaur was created as a real life representation of a dinosaur that was extracted from Cimarron County in the 1930s. 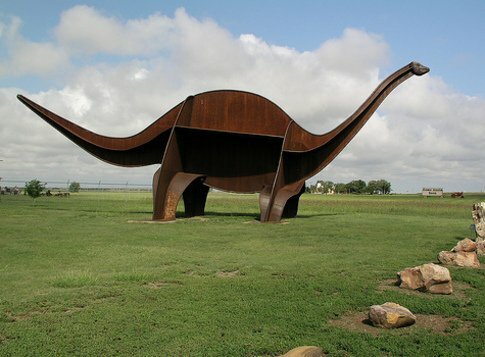 Sometimes referred to as a "Cimarronasaurus," locals soon started calling their new roadside attraction "Cimmy." Stop by during the winter months to see Cimmy adorned with Christmas lights. Museum closed from 12-1pm and on major holidays.